Hello! Today I have April's MeeBox to share. If you missed the March 'Donuts' box, you can find my unboxing and swatches here, and nail art here. April's theme is 'Material Girl', with contents inspired by Madonna. 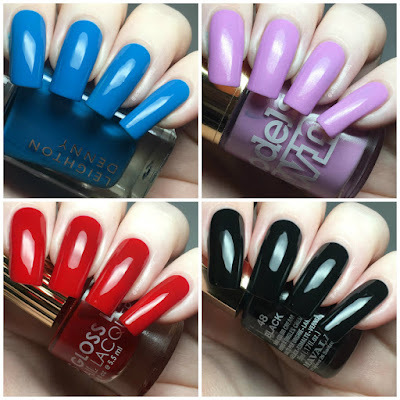 We were treated to four polishes, and a couple of nail art bits. 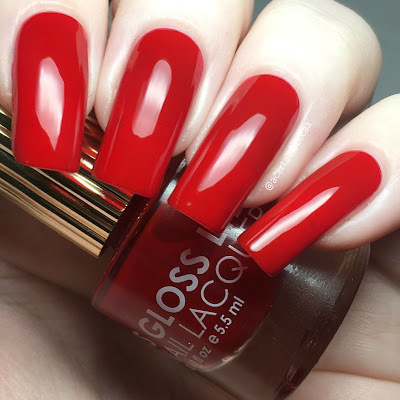 Read on for my full swatches and a look at everything inside! 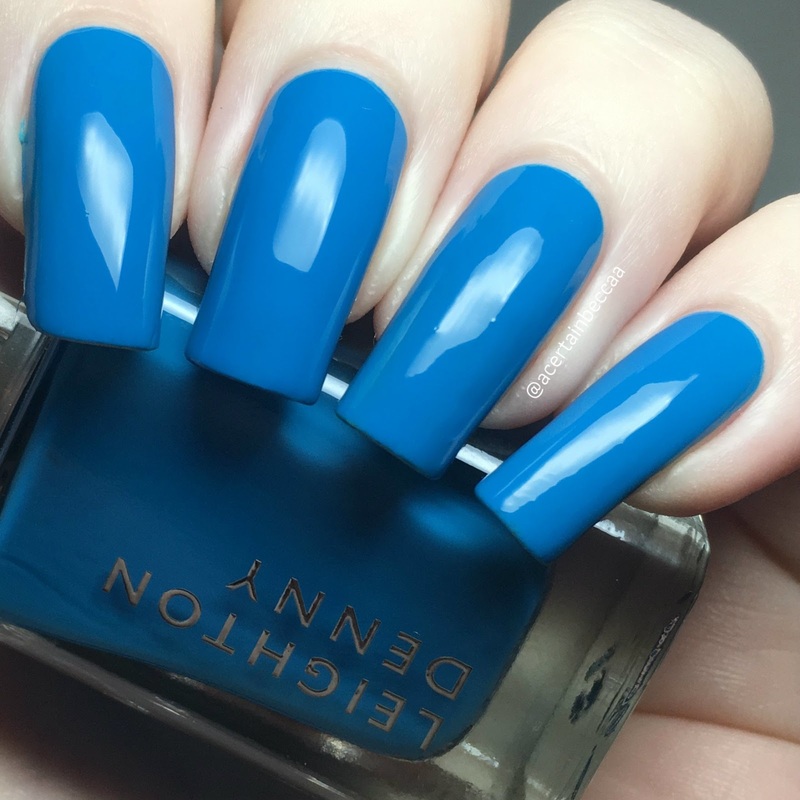 First up for polishes is Leighton Denny 'Get Your Cote', a bright blue creme. The formula is smooth and easy to apply. This has great opacity on the first coat, although I did need a second for a couple of minor streaks. This did linger on my skin a bit so I feel like it could be a stainer. Below is two coats with topcoat. 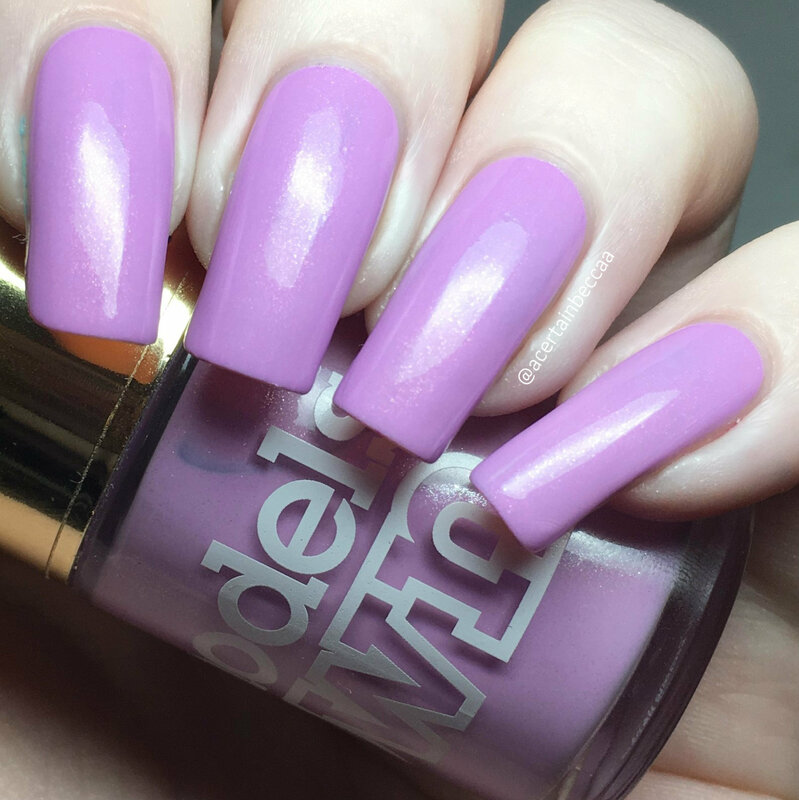 Next is Models Own Hypergel 'Flylac', a bright lilac with a soft silver shimmer. This is from the SoFly Collection released last year. It has a super smooth and easy to apply formula, and is much less streaky than I expected. Below is two coats with topcoat. Next is Floss Gloss 'Gangsta Boo', a rich red creme. 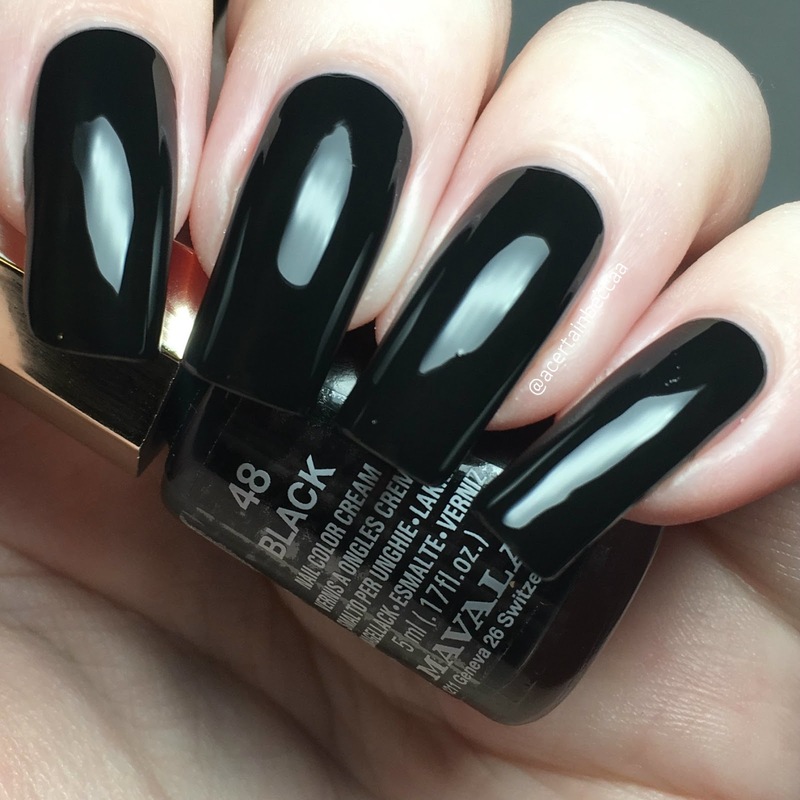 The formula is smooth and easy to apply. As is typical for a lot of reds, this is quite sheer. However, it applies very evenly. I could still see my nail line after three coats, but not massively. Below is three coats with topcoat. Last for polishes is Mavala 'Black', a black creme. It has a smooth, easy to apply formula, although does start off a bit sheer and streaky. It didn't quite build up as much as I'd hoped on the second coat, so I did need a third for full opacity. Below is three coats with topcoat. First up for extras this month are both Time Traveller plate 05 and stamper from MoYou London. Quite often when we get MoYou plates, they are the regular plates and not the XL. 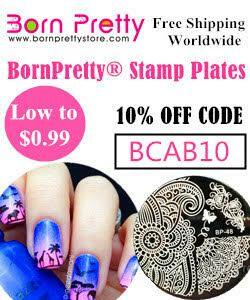 This time around the plate does have the XL sized designs, which means they'll fit my nails! Last up is a nail art foil from Sparkly Nails, in a gorgeous flowery lace design. This fits the theme really well and I love it! I have never used foils myself so don't have any foil glue - I do wish we had a mini bottle included. What do you think? My favourite item this month is the Models Own, as I hadn't purchased any of SoFly collection myself. I had hoped that the Mavala polish would stamp nicely so that I could use it with the plate, but unfortunately it's not opaque enough. I do really like the look of the lace sheet, so if I do find a way to use it without foil glue, I'll post the results!